"Bunker Island" redirects here. For the peninsula in Yarmouth, Nova Scotia, see Bunker's Island, Nova Scotia. NASA satphoto of Jarvis Island; note the submerged reef beyond the eastern end. 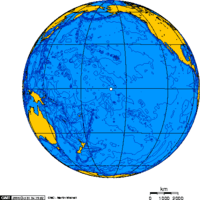 Jarvis Island (/ˈdʒɑːrvᵻs/; formerly known as Bunker Island) is an uninhabited 1 3⁄4-square-mile (4.5 km2) coral island located in the South Pacific Ocean at 0°22′S 160°01′W﻿ / ﻿0.367°S 160.017°W﻿ / -0.367; -160.017Coordinates: 0°22′S 160°01′W﻿ / ﻿0.367°S 160.017°W﻿ / -0.367; -160.017, about halfway between Hawaii and the Cook Islands. It is an unincorporated, unorganized territory of the United States, administered by the United States Fish and Wildlife Service of the United States Department of the Interior as part of the National Wildlife Refuge system. Unlike most coral atolls, the lagoon on Jarvis is wholly dry. 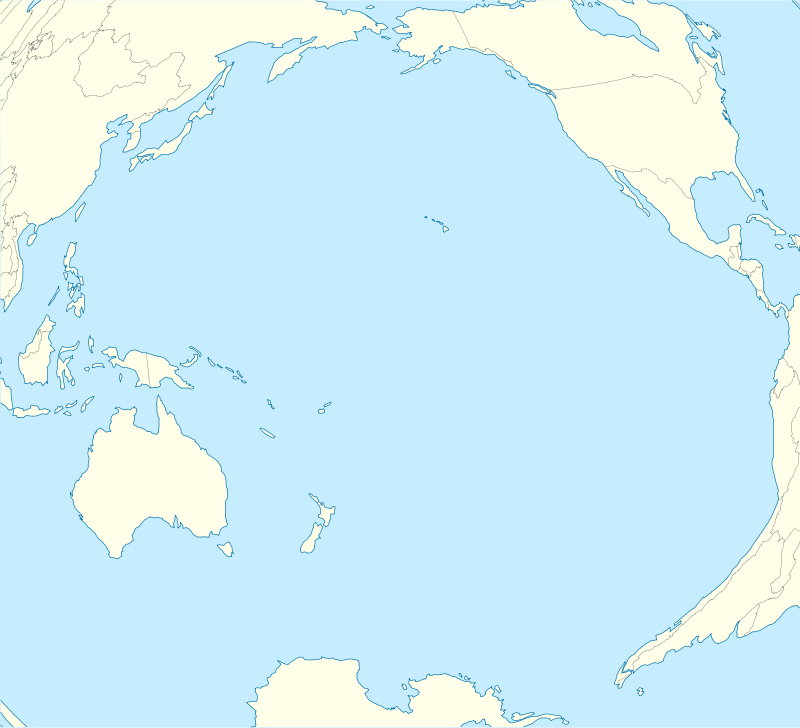 Map of the central Pacific Ocean showing Jarvis and neighboring islands. While a few offshore anchorage spots are marked on maps, Jarvis island has no ports or harbors, and swift currents are a hazard. There is a boat landing area in the middle of the western shoreline near a crumbling day beacon, and another near the southwest corner of the island. The center of Jarvis island is a dried lagoon where deep guano deposits accumulated, which were mined for about 20 years during the nineteenth century. The island has a tropical desert climate, with high daytime temperatures, constant wind, and strong sun. Nights, however, are quite cool. The ground is mostly sandy and reaches 23 feet (7 meters) at its highest point. The low-lying coral island has long been noted as hard to sight from small ships and is surrounded by a narrow fringing reef. Located only 25 miles (40 km) south of the equator, Jarvis has no known natural freshwater lens and scant rainfall. This creates a very bleak, flat landscape without any plants larger than shrubs. There is no evidence that the island has ever supported a self-sustaining human population. Its sparse bunch grass, prostrate vines and low-growing shrubs are primarily a nesting, roosting, and foraging habitat for seabirds, shorebirds, and marine wildlife. The island's first known sighting by Europeans was on August 21, 1821 by the British ship Eliza Francis (or Eliza Frances) owned by Edward, Thomas and William Jarvis and commanded by Captain Brown. In March 1857 the island was claimed for the United States under the Guano Islands Act and formally annexed on February 27, 1858. The American Guano Company, which was incorporated in 1857, established claims in respect of Baker Island and Jarvis Island which was recognized under the U.S. Guano Islands Act of 1856. Beginning in 1858, several support structures were built on Jarvis Island, along with a two-story, eight-room "superintendent's house" featuring an observation cupola and wide verandahs. Tram tracks were laid down for bringing mined guano to the western shore. One of the first loads was taken by Samuel Gardner Wilder. For the following twenty-one years, Jarvis was commercially mined for guano, sent to the United States as fertilizer, but the island was abruptly abandoned in 1879, leaving behind about a dozen buildings and 8,000 tonnes of mined guano. New Zealand entrepreneurs, including photographer Henry Winkelmann, then made unsuccessful attempts to continue guano extraction on Jarvis, and the two-story house was sporadically inhabited during the early 1880s. Squire Flockton was left alone on the island as caretaker for several months and committed suicide there in 1883, apparently from gin-fueled despair. His wooden grave marker was a carved plank which could be seen in the island's tiny four-grave cemetery for decades. John T. Arundel & Co. resumed mining guano from 1886 to 1899. The United Kingdom annexed the island on June 3, 1889. Phosphate and copra entrepreneur John T. Arundel visited the island in 1909 on maiden voyage of the S.S. Ocean Queen and near the beach landing on the western shore members of the crew built a pyramidal day beacon made from slats of wood, which was painted white. The beacon was standing in 1935, and remained until at least 1942. On August 30, 1913, the barquentine Amaranth (C. W. Nielson, captain) was carrying a cargo of coal from Newcastle, New South Wales to San Francisco when it wrecked on Jarvis' southern shore. Ruins of ten wooden guano-mining buildings, the two-story house among them, could still be seen by the Amaranth crew, who left Jarvis aboard two lifeboats. One reached Pago Pago, American Samoa and the other made Apia in Western Samoa. The ship's scattered remains were noted and scavenged for many years, and rounded fragments of coal from the Amaranth's hold were still being found on the south beach in the late 1930s. 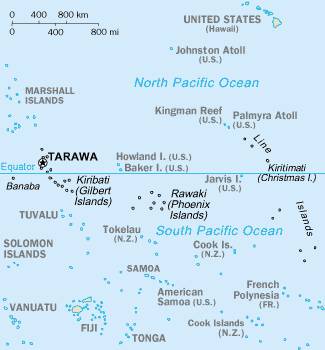 Jarvis Island was reclaimed by the United States government and colonized from March 26, 1935 onwards, under the Baker, Howland and Jarvis Colonization Scheme (see also Howland Island and Baker Island). President Franklin D. Roosevelt assigned administration of the island to the U.S. Department of the Interior on May 13, 1936. Starting out as a cluster of large, open tents pitched next to the still-standing white wooden day beacon, the Millersville settlement on the island's western shore was named after a bureaucrat with the United States Department of Air Commerce. The settlement grew into a group of shacks built mostly with wreckage from the Amaranth (lumber from which was also used by the young Hawaiian colonists to build surfboards), but later, stone and wood dwellings were built and equipped with refrigeration, radio equipment, and a weather station. 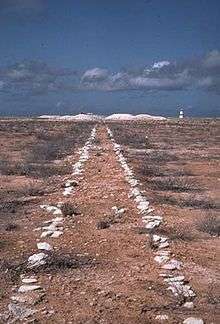 A crude aircraft landing area was cleared on the northeast side of the island, and a T-shaped marker which was intended to be seen from the air was made from gathered stones, but no airplane is known to have ever landed there. At the beginning of World War II, an Imperial Japanese Navy submarine surfaced off the west coast of the Island. Believing that it was a U.S. Navy submarine which had come to fetch them, the four young colonists rushed down the steep western beach in front of Millersville towards the shore. The submarine answered their waves with fire from its deck gun, but no one was hurt in the attack. On February 7, 1942, the USCGC Taney evacuated the colonists, then shelled and burned the dwellings. The roughly cleared landing area on the island's northeast end was later shelled by the Japanese, leaving crater holes. Jarvis was visited by scientists during the International Geophysical Year from July 1957 until November 1958. In January 1958 all scattered building ruins from both the nineteenth century guano diggings and the 1935-1942 colonization attempt were swept away without a trace by a severe storm which lasted several days and was witnessed by the scientists. When the IGY research project ended the island was abandoned again. By the early 1960s a few sheds, a century of accumulated trash, the scientists' house from the late 1950s and a solid, short lighthouse-like day beacon built two decades before were the only signs of human habitation on Jarvis. On June 27, 1974, Secretary of the Interior Rogers Morton created Jarvis Island National Wildlife Refuge which was expanded in 2009 to add submerged lands within 12 nautical miles (22 km) of the island. The refuge now includes 1,273 acres (5.15 km2) of land and 428,580 acres (1,734.4 km2) of water. Along with six other islands, the island was administered by the U.S. Fish and Wildlife Service as part of the Pacific Remote Islands National Wildlife Refuge Complex. In January 2009, that entity was upgraded to the Pacific Remote Islands Marine National Monument by President George W. Bush. ↑ Darwin, Charles; Bonney, Thomas George (1897). The structure and distribution of coral reefs. New York: D. Appleton and Company. p. 207. ISBN 0-520-03282-9. 1 2 3 "Jarvis Island". DOI Office of Insular Affairs. Retrieved January 26, 2007. ↑ "Jarvis Island". The World Factbook. CIA. 2003. Retrieved January 26, 2007. ↑ Pacific Remote Islands National Wildlife Refuge Complex, Jarvis Island NWR Draft CCP EA, August 2007, retrieved November 25, 2010: "No information is available on the subsurface hydrology of Jarvis Island. However, its small size and prevailing arid rainfall conditions would not likely result in the formation of a drinkable groundwater lens. During staff visits to Jarvis, potable water is carried in containers to the island for short visits." ↑ "United States Pacific Island Wildlife Refuges". Retrieved January 26, 2007. ↑ "Jarvis Island - Pacific Biodiversity Information Forum photographs". Retrieved January 9, 2008. ↑ "North Pacific Pilot page 282" (png). Retrieved January 26, 2007. ↑ "R. v. Higgins, Fuller, Anderson, Thomas, Belford and Walsh". legal proceeding. Retrieved January 25, 2007. ↑ "GAO/OGC-98-5 - U.S. Insular Areas: Application of the U.S. Constitution". U.S. Government Printing Office. November 7, 1997. Retrieved March 23, 2013. ↑ "The Guano Companies in Litigation--A Case of Interest to Stockholders". New York Times. May 3, 1865. Retrieved March 23, 2013. ↑ George F. Nellist, ed. (1925). "Samuel Gardner Wilder". The Story of Hawaii and Its Builders. Honolulu Star Bulletin. ↑ Gregory T. Cushman (25 March 2013). Guano and the Opening of the Pacific World: A Global Ecological History. Cambridge University Press. pp. 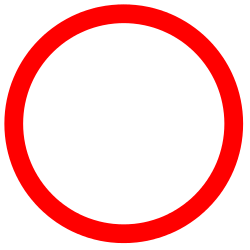 98–. ISBN 978-1-107-00413-9. ↑ "Squire Flockton ( - 1883)". Find a grave. Retrieved 29 March 2016. 1 2 Arundel, Sydney (1909). "Kodak photographs, Jarvis Island". Steve Higley. Retrieved April 23, 2013. ↑ Maslyn Williams & Barrie Macdonald (1985). The Phosphateers. Melbourne University Press. ISBN 0-522-84302-6. ↑ Edwin H. Bryan, Jr. (1974). "Panala'au Memoirs". Pacific Scientific Information Center - Bernice P. Bishop Museum, Honolulu, Hawaii. Retrieved April 23, 2013. ↑ Bryan, E.H. "Jarvis Island" Retrieved: July 7, 2008. ↑ Bryan, Edwin H., Jr. Panala'au Memoirs. Retrieved: July 7, 2008. Contains several photos of the Millersville settlement, together with a diary of events in the colony. ↑ "History of Jarvis Island". "World War Two" section of article. Retrieved January 25, 2007. Shell holes were later noted in the aircraft landing area. ↑ The IGY station chief was Otto H Homung (d. 1958) who apparently died on the island and may have been buried there. ↑ White, Susan (October 26, 2011). "Welcome to Jarvis Island National Wildlife Refuge". U.S. Fish and Wildlife Service. Retrieved March 4, 2012. ↑ Bush, George W. (January 6, 2009). "Establishment of the Pacific Remote Islands Marine National Monument: A Proclamation by the President of the United States of America". White House. Retrieved March 4, 2012. ↑ "Jarvis Island National Wildlife Refuge". U.S. Fish and Wildlife Service. Retrieved March 4, 2012. 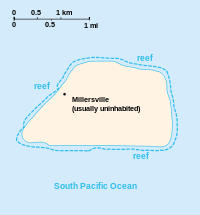 Wikimedia Commons has media related to Jarvis Island.